Enjoy a beautiful day outdoors with hot air balloon launches and wine tasting from some of Southern California’s premier wineries on Saturday, May 21, 2016. Located at Lake Skinner County Park, guests will enjoy food and wine pairings with intriguing chef demonstrations, evening balloon glows and concerts. The event lasts three days from Friday to Sunday. This event is fun for all ages with a kids’ faire, commercial exhibits, arts and crafts and plenty of delicious food. Visitors can even register for a campsite and enjoy the entire event. 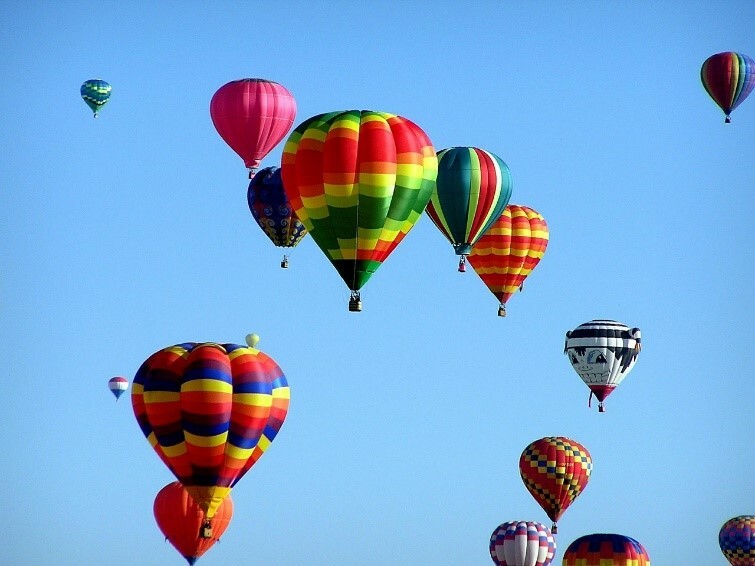 They can even experience the feeling of being in a hot air balloon with a tethered ride. Big-name acts include Phil Vassar, Jimmy Eat World and Kristian Bush. General admission tickets are $33 for a Saturday pass or $40 at the gate. In addition, you can purchase a weekend pass for $60. Children five and under are free, while those 6-12 cost $5. The event goes on all day from 6:00 AM – 10:00 PM. To find out more or to purchase tickets, visit the website here.